1. For the safety of your family and children, display it in the vicinity of your main door looking out. 2. To keep competitors at bay, businessmen can hang this windchime at the main entrance looking out. The powerful rhinoceros will help you counter attack their poisonous threat. 3. 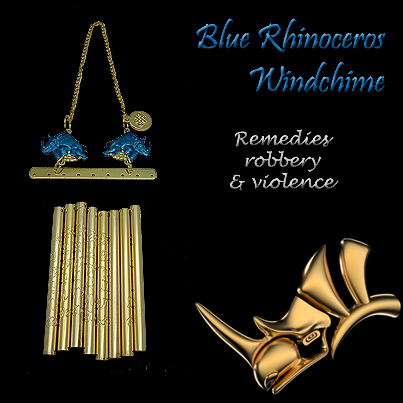 The Rhinoceros is no doubt the most unrivaled cure against Violence Star#7, either from the natal chart, annual chart or monthly chart of flying stars. For eg. in 2016, hang this windchime in the north.